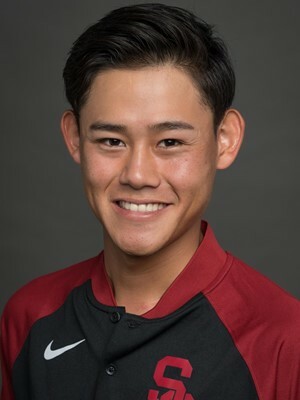 Onishi, originally from Japan who prepped at the IMG Academy in Bradenton, Fla., was a 2016 Rolex Junior All-American honorable mention selection and a 2015 Rolex Junior All-American second teamer … Shortly before starting his first semester at USC, Onishi played in the 2017 U.S. Amateur, qualifying for match play. He tied for 29th in stroke play at 1-over 141 (69-72) before falling to current teammate Cheng Jin in the first round of match play, 4&3. He played in the 2017 U.S. Junior Amateur as well, also tying for 29th in stroke play at 1-over (65-78) and reaching the round of 16 before bowing out. He tied for seventh at the Rice Planters Amateur in June at 1-under 215 (73-67-75) … He won the 2016 27th Annual Sea Pines Junior Heritage, fighting off severe winds in Hilton Head, S.C., with a 145 (74-71). He tied for third at the 2016 AJGA Haas Family Invitational with a 280 (67-72-67-74), was seventh at the 2016 Terra Cotta Invitational and was eighth at the AJGA TaylorMade-addidas Golf Junior. He reached the round of 64 at the 2016 U.S. Junior Amateur … In 2015, he posted three top 10 junior finishes, including a third at the Western Junior Championship at 282 (74-71-68-69), and he had four top 10s in 2014, including a sixth at the Callaway Junior Championship.